St. Gallen, Stiftsbibliothek, Cod. Sang. 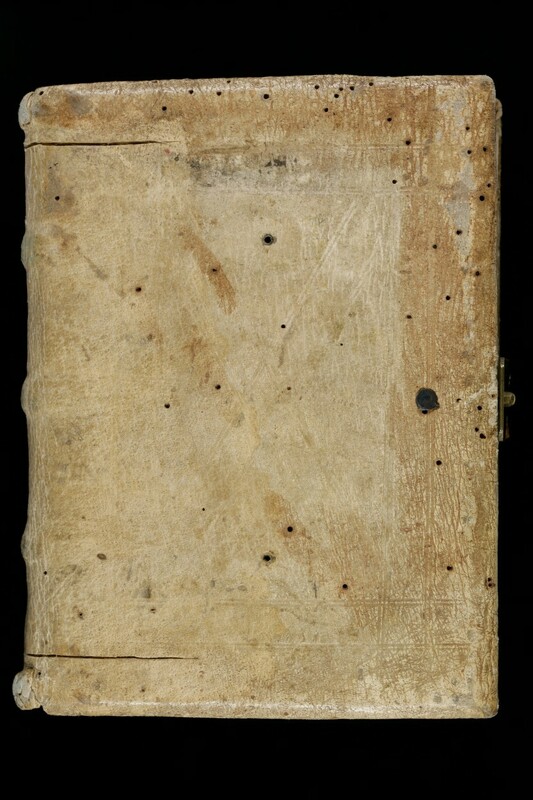 573, Front cover – Vita metrica Sancti Martini by Paulinus of Périgueux; Vita metrica sancti Martini by Venantius Fortunatus; Visio Wettini by Haito and Walahfrid Strabe; Revelatio Baronti monachi, etc. Vita metrica Sancti Martini by Paulinus of Périgueux; Vita metrica sancti Martini by Venantius Fortunatus; Visio Wettini by Haito and Walahfrid Strabe; Revelatio Baronti monachi, etc. Standard description: Scarpatetti Beat Matthias von, Die Handschriften der Stiftsbibliothek St. Gallen, Bd. 1: Abt. IV: Codices 547-669: Hagiographica, Historica, Geographica, 8.-18. Jahrhundert, Wiesbaden 2003, S. 84-87. Additional description: Scherrer Gustav, Verzeichniss der Handschriften der Stiftsbibliothek St.Gallen, Halle 1875, S. 185-187.